Ferguson Superstore is looking for a part-time, professional and welcoming receptionist to join us in supporting our dealership staff and assisting our customers while building and representing our brand. Bi-lingual is always a plus! 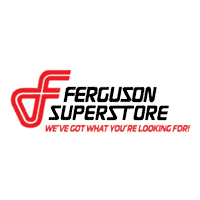 Ferguson Superstore is seeking a highly motivated Internet Business Development Associate. Our Business Development Center (BDC) is in charge of generating showroom traffic from internet leads. The position works directly with our BDC manager and sales team to ensure an exceptional car buying experience for our customers. The preferred candidate must be professional on the phone, and have excellent communications skills, both verbal and written. This is a full time position and can include weekends. BDC team-members work primary out of our CRM. Promptly and accurately enter all customer inquiry data into our CRM. Ferguson Superstore is looking for a professional and welcoming receptionist to join us in supporting our dealership staff and assisting our customers while building and representing our brand. Our Broken Arrow dealership has experience tremendous growth in recent years, and are currently looking for dedicated Sales Consultants to join our growing team! At Ferguson Superstore, we know our employees are our most valuable resource. This position offers exceptional earning potential! If you enjoy working with a strong, professional sales team, and are excited about opportunities for professional growth, this could be the right position for you! As a Ferguson Superstore Sales Consultant, you'll be responsible for greeting customers and working with them to find the appropriate vehicle; all while proding truly exepctional customer service. You must be ready to assist any customer who enters the show floor and the outdoor lot. Ferguson Superstore is looking for experienced service technicians to join our team. We're looking for driven, motivated and dedicated individuals that are excited for the opportunity to join a winning team. Not only do we promote from within, you may find yourself working in a brand new facility. Ferguson strives to provide outstanding customer service and high-quality work at a great value. We are seeking enthusiastic, passionate leaders who want to build a career with a growing company. TOP PAY for the right technician. Ferguson Superstore, in Broken Arrow, OK, is looking to hire two full time lot porters. Good pay, good benefits, and a great atmosphere. Must have a good driving record, a good attitude and be willing to work inside and outside. This is a full time position. Applicants should be self motivated and customer friendly. Ensure all vehicles on the lot are locked, with the windows rolled up, and keys securely stored. Ferguson Buick GMC, in Broken Arrow, OK, is seeking a Lube Tech to become an integral part of our team! Experience in tire machines, light vehicle maintenance, and oil changes, is a plus. The Lube Technician will be responsible for lubricating cars in a quick, yet thorough manner. Must be a hard worker and punctual. Ferguson Advantage Imports is looking to hire a SERVICE ADVISOR. As a Service Advisor, you will be responsible for: providing a friendly greeting to our customers, generating service order estimations and quotes for customers, coordinate the workflow of import technicians, scheduling customer's appointments and conducting post-repair follow up.